The town of Hearne is known as “The Crossroads of Texas” because it sits at the intersection of several highways and railroads. The little town used to be a hub of transport and commerce, but is now fairly sleepy pit stop. 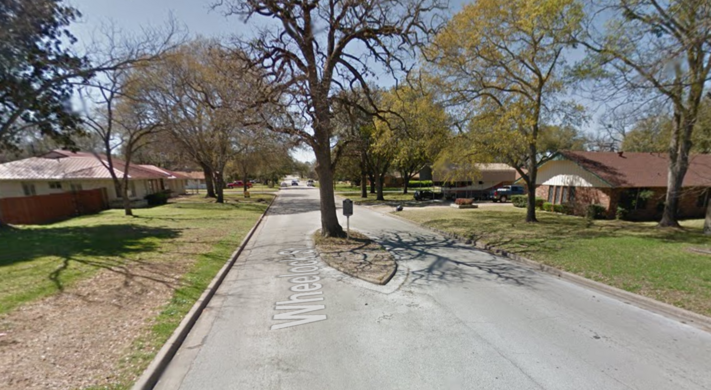 Amid the suburban houses and grassy lawns though, there is an unusual sight: a body buried in the middle of the street. 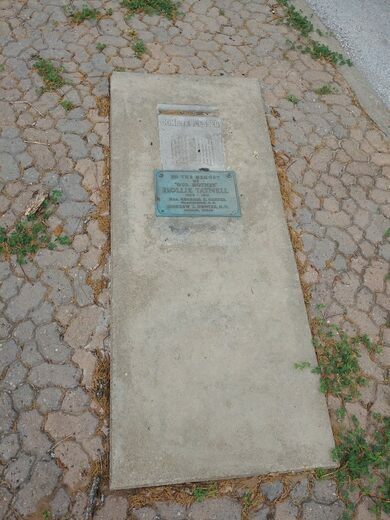 The lone grave is marked by a sizable oak and a two plaques set in an almond-shaped median. The first marker reads: “COME YE BLESSED”. The second: “TO THE MEMORY OF ‘OUR MOTHER’ HOLLIE TATNELL 1859 – 1911”, and below that, “MRS. GEORGIA E. GARTER Washington D.C. ANDREW L. HUNTER M. D. Marlin, Texas”. 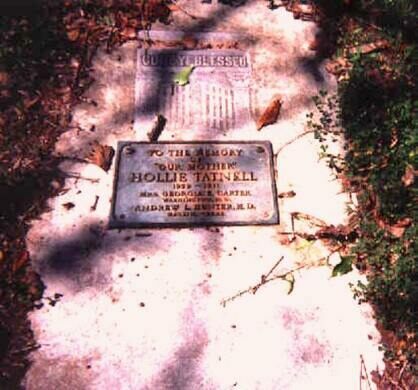 According to the scant history that exists, Hollie Tatnell was born a slave in Texas. Upon her death in 1911, she was buried in Hearne’s colored cemetery, which had allegedly originated as a slave burying ground. Hollie would have been one of the last people interred at the cemetery as it was closed in 1912. When real estate developers purchased the land in 1947 they edged out the families of color in the neighborhood, who were forced to exhume and rebury the remains of their ancestors in the cemetery. The only family that refused to budge was Hollie Tatnell’s children, Georgia and Andrew. The developers, eager to move forward, had to construct a median around Hollie’s diagonal grave. As proof of their triumph, the Tatnell children placed the second marker on their mother’s grave in addition to her original headstone. Decades of discarded bottle caps line this alleyway, a fixture of Texas A&M. 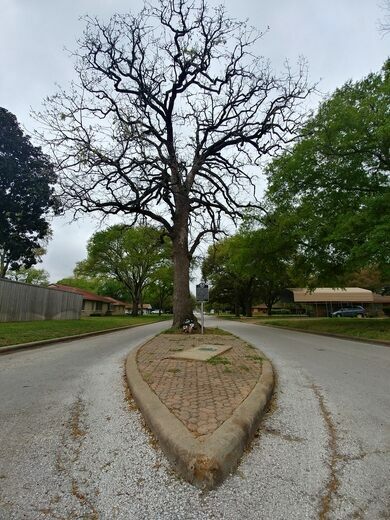 Campus tradition says couples who walk beneath this enormous oak will stay together forever. All that remains of cult leader David Koresh's original besieged Texas compound is a stagnant concrete pool. A historic cemetery doubles as a museum containing hundreds of unique tombs sculpted by a single artist.